This is not actually my 2005 summer project --- I actually started this instrument around April. It's a gift for a teacher buddy of mine who just retired this year. 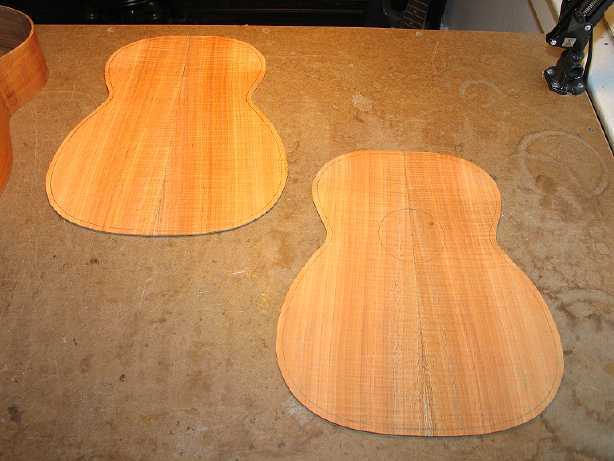 It's the first time I've made a tenor ukulele and the first time I've ever worked with koa. I really like the koa! It's a beautiful wood. I got the set for this uke from Hana Lima 'Ia in Hawaii. School just got out this past week, and I was pretty much done with the building of the ukulele by then. So, I've just finished up the spraying of the Target Coatings' USL waterborne lacquer, and now I have to undergo the most difficult part for me --- waiting for the finish to cure before I can rub it out and finish it all up!!! No matter....I liked making this uke so much, that I decided to build one for myself! So, that's what I'm going to be working on first this summer. 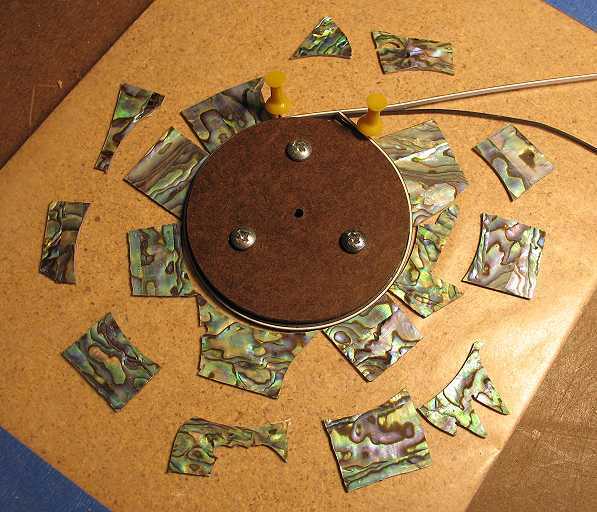 This was the first time I'd ever cut abalone rosette rings myself. 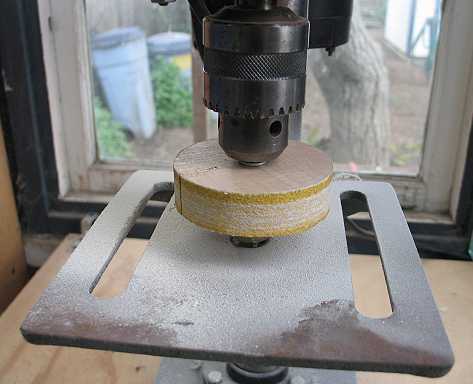 I got some tips from my good friend, Michael Keller, and made this sanding disc, to sand the inner part of the ring. That was the easy part. The harder part was using a jeweler's saw to then cut the outer edge of each piece! It was very tedious work, but it came out well in the end. It was a good experience for me.